SECRET INGREDIENT AT PHOENIX Film Festival! Secret Ingredient will be part of the official selection of the biggest film festival in Arizona. The 19th Phoenix Film Festival will screen more than 175 feature films and shorts. Attendees will be a part of screenings; Q&A sessions with producers, director and talent; enjoy world-class entertainment; an impressive silent auction and more. Different films will be presented each day. 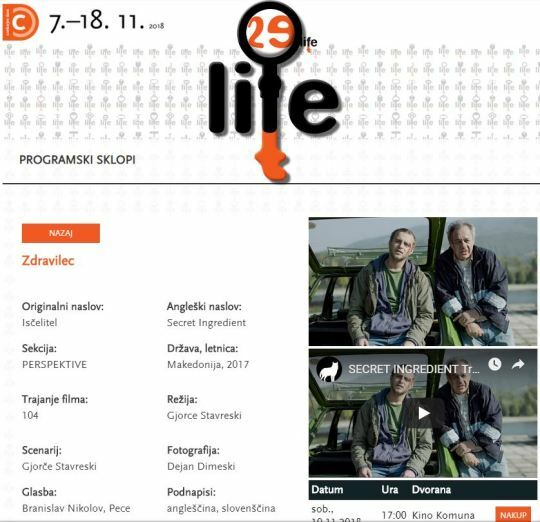 Our film will be part of LIFFe, International Film Festival of Ljubljana, Slovenia. This is the 29th edition of the festival which had more than 50000 sold tickets last year. Secret Ingredient will have three screenings during the festival and all of them are sold out days before. Meet our director there on 15th of November!